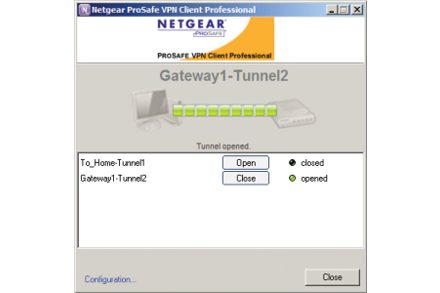 VPN software for Windows that provides enterprise grade encryption, firewall compatibility, and multiple connection modes. VPN Client Professional Reviews Recently Reviewed! Overall: We used Netgear's software to setup our network for our medical practice. So far, it has been pretty straight forward, though i have a basic understanding of Information Systems. Make sure you get connected on the community as the members there are very helpful and respond promptly. I had an issue and posted on there and had a response in a matter of minutes. Pros: I use it daily when working from home, it keeps my company's information safe. The pros would be that it is easy to use and set up. Cons: A little complicated if you don't have a background in VPNs.